Project: Reflect 52 #21 - Bikini, sun, wind, beach! 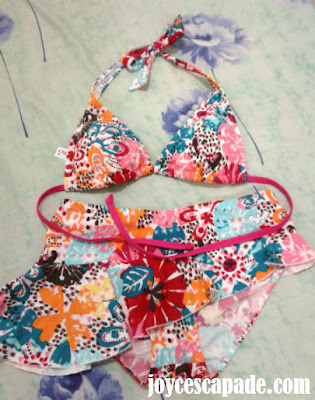 This is my new bikini with vibrant colors! Heehee. Gotta make a list of what to pack for our honeymoon trip - clothes, swimwear, slippers, towels, sunblock, toiletries, supplements, medications, gadget chargers, money, passport! I'm reallyyyyy sooooo readyyyyy for lots of fun in the sun and wind by the beach very, very sooooon!